Man cave? Puhlease. Girl Cave ... thank you! 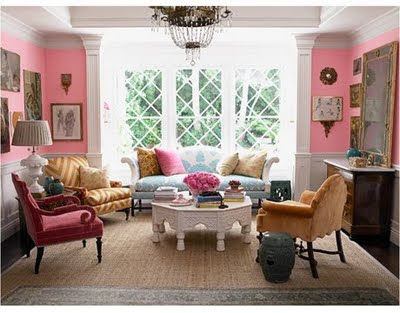 If only I had a room in my house that looked exactly like this. Wow. While on my "staycation" the last few days, I've finally managed to read a few of the magazines I have in my stack of new issues that I call the TBR* pile (*to be read). House Beautiful (one of the few remaining shelter mags and one of my faves) featured the home of Windsor Smith in their September 2009 (it's on newsstands now!) and I can't stop looking at this room and wishing I had one just like it all to myself.